Ewan Aitken is the Chief Executive of Edinburgh Cyrenians. A former leader of the City of Edinburgh Council, Ewan is chair of the Scottish Labour Party’s Social Justice Sounding Board and a member of the CoSLA Commission on Strengthening Local Democracy. He is Chair of the Scottish Grants Committee of BBC Children in Need Scotland and the National Prison Visitors Centre Steering Group and founder and director of the Ripple Project. A member of the Iona Community, he counts watching sport, going to the theatre and most of all, time with his family as his leisure time priorities. Dan joined the Scottish Prison Service in 1975 as an Assistant Governor and has been since 1988 the Governor of 5 prisons. He is currently a member of the SPS Board as Director of Operations at SPS Headquarters. He is a graduate of Aberdeen, Birmingham, and Glasgow Graduate School of Law. When a Governor, his corporate responsibilities included Equality and Diversity, Health Promotion, Learning Skills, Family Involvement and Restorative Justice. In his current role he has responsibility for all public sector prisons and the development of the new prisons Grampian, (2014) and Inverclyde (2016). Externally Dan has been Vice Chair of the Scottish Association for the Study of Offending (SASO) since 1999. When Governor of Polmont YOI, he contributed a chapter to “Meeting Needs, Addressing Deeds – Working with Young People who offend” and he has participated in two Council of Europe workshops on Youth Crime in the Ukraine and Russia. 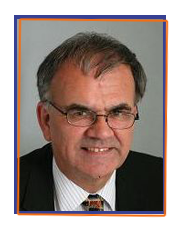 In 2005 he was part of the UK delegation to the UN Committee on Prevention of Torture in Geneva. Married with two daughters, he has lived in Dunblane since 1996. He is an Elder in the Church of Scotland and currently Presbytery Elder. In that latter role he has also recently served as an Interim Moderator. Dr Mary Hepburn first trained as a general practitioner and then as an obstetrician and gyneacologist. 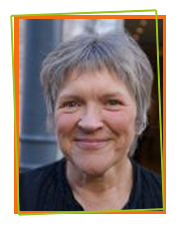 Concerned with health inequalities and the impact of poverty on health she established and was consultant in charge of the Glasgow Women’s Reproductive Health Service for women with socially disadvantaged backgrounds. This developed into the medically led component of the Glasgow Special Needs in Pregnancy Service of which she remained consultant in charge until her retirement from clinical practice in 2014. For more than 30 years she has been directly involved in service provision for women who experience a large range of problems including use of alcohol and other drugs, HIV and other blood borne virus infections, mental illness and experience of violence and abuse. She has advised on service design and delivery in other centres nationally and internationally and has contributed to the development of government policy and guidelines for health and social management of vulnerable women and their families. She has also worked for many years with WHO, UNICEF and other NGOs in international training and service development for women with similar isues, in particular use of alcohol and other drugs and HIV infection. David leads the SDF staff team and reports directly to SDF’s Board of Directors. He has worked for Scottish Drugs Forum since its inception in 1986 and in the field of drugs, alcohol and homelessness for over 30 years in England, Ireland and Scotland. He is on the UK Government’s Advisory Council on the Misuse of Drugs. He is a Board Member of the national anti-poverty network in Scotland, The Poverty Alliance. 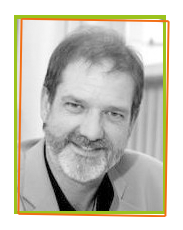 David has a degree in Chemistry and his first career was as a hospital biochemist before moving into Social Work, qualifying as a social worker in Edinburgh in 1984. He was a co-author of a prevalence study of drug problems in Edinburgh undertaken in 1985-86 and was a key player in the development of harm reduction services in Scotland, advocating the introduction of needle exchanges and substitute prescribing programmes. He served on the Ministerial Drug Task Force in 1994, played an active role in the former Scottish Advisory Committee on Drug Misuse and since the creation of the Scottish Parliament in 1999, he has been a Secretary to the Cross Party Group on Alcohol and Drug Misuse. An active member of the European Civil Society Forum on Drugs, David is a regular media commentator on issues relating to problematic drugs use in Scotland. 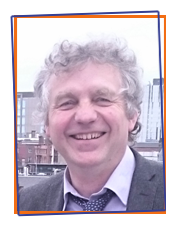 He has contributed to a number of publications on drug use in Scotland. David was made Officer of Order of the British Empire (OBE) in the Queen’s 2012 Birthday Honours for services to disadvantaged people in Scotland. 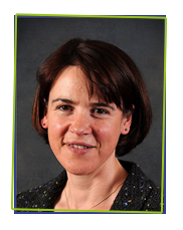 Dona Milne is a Consultant and Deputy Director of Public Health at NHS Lothian and works in the area of sexual and reproductive health, children and young people’s wellbeing and reducing inequalities. Dona is interested in policy related to reducing inequalities, particularly through work on social determinants. Her research interests are school attendance and community engagement, particularly youth work. She is a Fellow of the Faculty of Public Health and an Honorary Fellow of the Faculty of Sexual and Reproductive Health. She originally trained in Community Education specialising in young people and health followed by a period working in the voluntary sector and local government. Her career has taken her to YWCA Scotland as Depute Director (Scotland) and for 7 years from 2001 she led the ‘Healthy Respect’ National Demonstration Project. In 2008, Dona was seconded to the Scottish Government initially working in sexual health and HIV policy and subsequently led the H1N1 vaccination campaign in 2009. In a voluntary capacity Dona is chair of the Children’s Parliament in Scotland and a trustee of Inspiring Scotland. 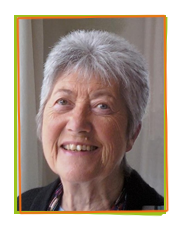 Norma is Professor of Child Care and Protection [emeritus] at Dundee University. Her research, policy and development interests are in links between disadvantage and harm to children and in the assessment of need and risk in individual families and in communities. 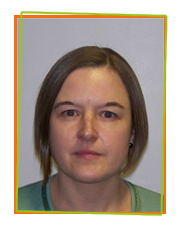 She has worked with local and national government and within the voluntary sector throughout the UK. She was involved with FSU when it was a UK wide organisation and was a founding trustee of FSU (Scotland) – now Circle. She was Chair of Circle from 2006 to 2010 then remained as a trustee until 2017. 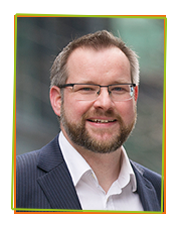 Brian is the Head of Data at The Data Lab, an innovation centre funded by the Scottish Government to deliver significant social and economic benefit to Scotland though the use of data science, where he is responsible for technical leadership and skills portfolio. Brian has 19 years’ experience in software engineering, analytics and building data teams with prior roles in companies such as HP, Sumerian and Skyscanner and was recently recognised in the Information Age Top 50 Data Leaders in the UK, winning a best in class award for his contribution to data science and analytics. Caroline was appointed as Chief Executive of NHS Education for Scotland in October 2015 having previously been Acting Chief Executive from November 2014. Prior to that she was the Director of Finance and Corporate Resources and Deputy Chief Executive for NHS Education for Scotland. She was previously employed as University Secretary and Director of Finance at Abertay University. She is a qualified Chartered Accountant.